So you heard about dabbing and got your hands on some shatter but you don't want to buy a rig yet? Well, then why not simply turn your bong into a "nail and globe" rig? 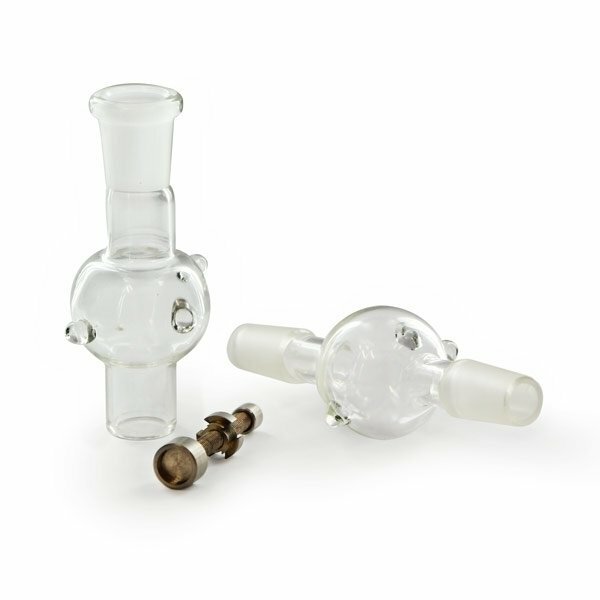 With this three-piece Oil Set for the Bong "Clear" you can upgrade your bong and enjoy your concentrate. Joint size: 14.4mm - assembled length 16.5cm, 18.8mm - 18.5cm. The Nail is made of titanium. 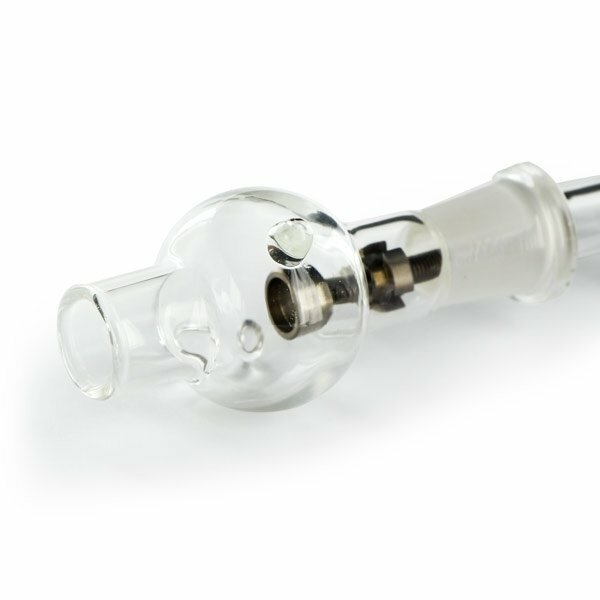 Great addition for dabbing to your bong. Titanium nail is great, better than glass one!